A master artist and teacher of metalwork, Heikki Seppä, presents a bold new approach to creative expression in metal. He belives that the time has come for the artist to free himself from the functional forms that have dominated the metalsmith's craft- the cup, the box, the pitcher, etc. Heikki Seppä believes that the time has come for the artist to free himself from the functional forms that have dominated the metalsmith's craft - the cup, the box, the pitcher, etc. 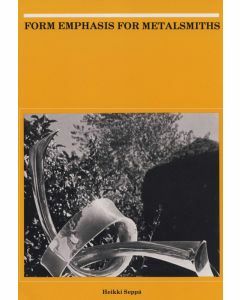 Heikki Seppä urges the craftsman to creat in terms of pure form, and in this book he shows him how. Two things are essential. 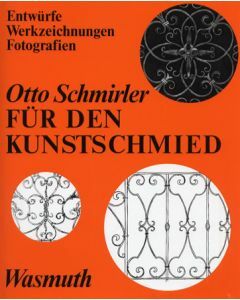 The first is a thorough understanding of the special properties of metal as an artistic medium and an intimate knowledge of the techniques for working it. The second is to free the artist from thinking in terms of function, since this limits his concepts of what can be created. A major feature of this book is an extensive glossary of a new vocabulary with each term illustrated with a sketch by the author. Format: Soft Cover; Dimentions: 7" x 10"; Pages: 146; Illustrations: Profusely illustrated. The legacy of Erich Riesel through words and photographs. This is the story of one of smithings' most accomplished, yet little-known artisans. 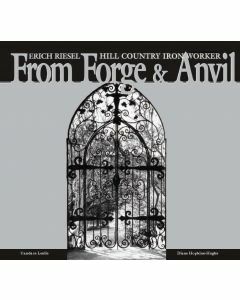 Leslie and Hopkins-Hughs have restored Riesel to his proper place in the pantheon of ironwork artists. He learned the ironworking trade as an apprentice in Magdeburg, Germany, a ninth-century city noted for its Romanesque church and its steel industry, but his father, wanting to save his only child from war, sent him to America. After working as a cowboy on a number of Hill Country ranches, his gifts as a talented ornamental ironworker were accidentally discovered by two oilmen who were establishing handsome ranch/retreats on the banks of the Guadalupe River in the heart of the Texas Hill Country. For five years Riesel endowed their properties with beautiful ornamental works that have continued to evoke admiration. From massive ranch gates to airy railings to intricate chandeliers, Riesel turned out masterpiece after masterpiece creating a legacy that still endures at the Presbyterian Mo-Ranch Assembly, Hunt, Texas. In the olden days, building with logs was common-place everywhere where trees were plentiful. It was the only way of providing oneself with a house or outbuildings.The craft of log building is a trade that takes considerable skill. 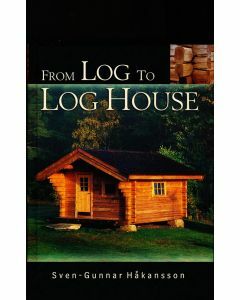 If you intend to build your own log home, or a log shed, this book may give you some ideas of styles and floor plans. The need to adorn one's self and to protect ourselves from the influences of evil forces and misfortune is as ancient as the history of mankind. Hence people even decorated everyday objects with symbols and protective signs. 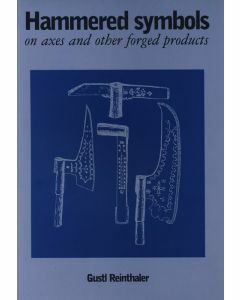 August Reinthaler's detailed descriptions and quality drawings of the tools in his extensive collection make this a valuable and informative text book. Clad in armour and mounted on horseback, knights were noble warriors who lived hundreds of years ago in a world where mighty castles dominated the landscape and rival forces clashed in blood-soaked battles. Enter a world filled with heroism, romance and warfare and find out about the rise and fall of the most feared warriors in medieval Europe. A young readers guide to the Medieval World. 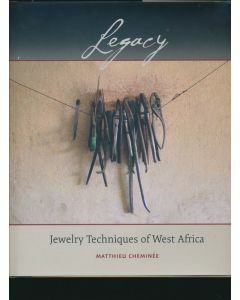 Legacy: Jewelry Techniques of West Africa is a fascinating step-by-step journey with the author, Matthieu Cheminée, through the lives, history and rituals, homes and workshops, tools and techniques of the jewelry masters of West Africa. It is an emotional tour that explores West African metal arts through practical and detailed presentations of traditional metal techniques. 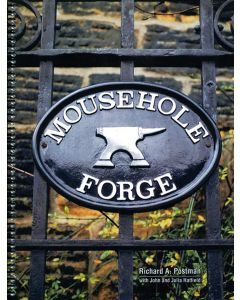 Format: Hard cover Dimentions: 9" x 10 1/2"
Between approximately 1800 and 1860 Mousehole Forge of Sheffield, England was the premier anvil maker of the world. How could a small manufacturer restricted to about one acre of land with a forge shop having just 9,000 square feet, using primarily water power to drive their antiquated helve hammers and other equipment, compete so successfully with other famous English anvil makers, using more modern methods and machinery. For well over 200 years anvils have been made at Mousehole Forge, which for two centuries, at least, was the only works of its kind in the world. This is the story of this small company and their anvils.